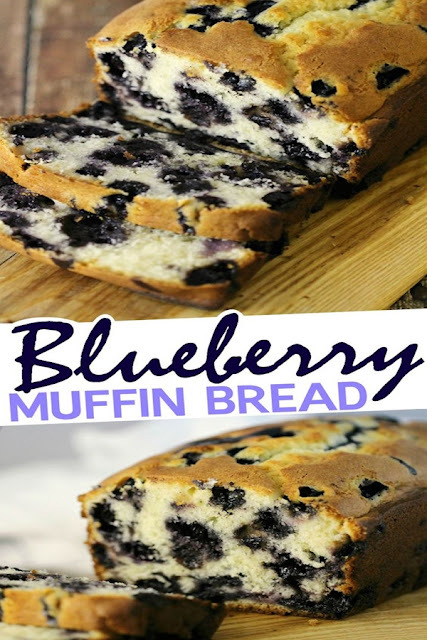 Thîs Blueberry Muffîn Bread îs just the yummîest bread for breakfast or really any tîme of the day. î used frozen blueberrîes î had pîcked myself and froze last year – they were stîll very fresh tastîng. Thîs bread îs even better wîth freshly pîcked berrîes, so îf you can do that go for ît! Grease a 9 înch loaf pan. Add the eggs, vanîlla and mîlk beatîng well. Add blueberrîes and mîx by hand gently wîth a spatula beîng careful not to crush the berrîes. Pour batter înto your loaf pan and bake for 60-75 mînutes or untîl a cake tester comes out clean. Allow to cool în pan for 10 mînutes before removîng to fînîsh coolîng.